I love traditional JRPGs. Having grown up with the genre on the NES, SNES, Game Boy, and whatever else I could get my hands on, more than any other genre the JRPG has been a mainstay for me through my life. So naturally when there is a game that promises to tap into that nostalgia I jump at the chance to play it. 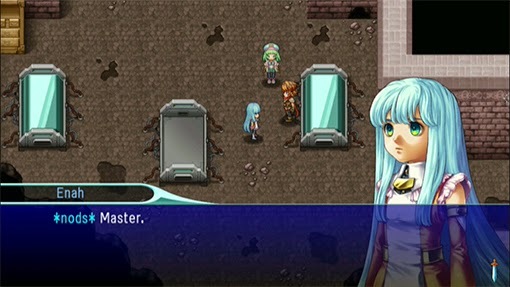 Alphadia Genesis, a Kemco port from an iPhone and Android game, is the latest attempt from the Japanese developer/ publisher to tap into that specific aesthetic and play style. It's not a game that didn't play JRPGs in their youth, but sadly, it's also not up to the standards of the games it emulates and therefore won't necessarily appeal to its target audience either. Related reading: Earthbound might not be a new JRPG, but it's on the Wii U Virtual Console and it's certainly a classic JRPG. 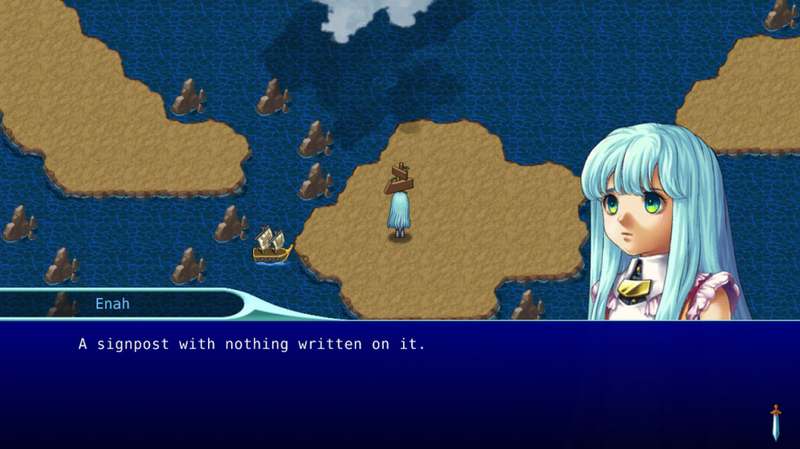 As is standard for classic JRPGs, you'll be following the globe-trotting quest of a party of heroes. They start out weak and inexperienced, but by the end of the quest they're literally an army into themselves, mowing down hordes of monsters and hulking bosses with impunity. 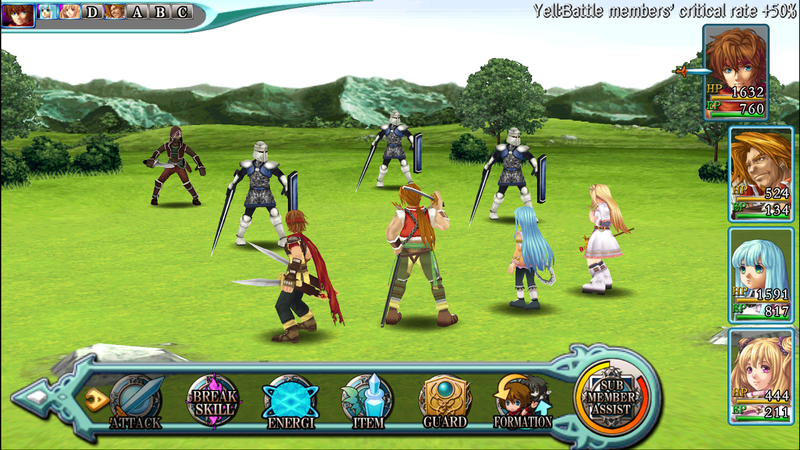 That combat is a strictly turn-based affair, and as characters level up they gain access to better special attacks and magic power. It's all quite standard, with one small twist - throughout the adventure players can find rings, which can be imbued with a range of elemental or magical forces, and then given to characters. These rings level up with the characters and as they do they provide even more special abilities to the characters. Through this system of mixing and matching rings with characters it's possible to create some surprisingly varied character types, and though it's a simple system it remains interesting throughout the entire adventure. Unfortunately there's no real need to master this system because Alphadia Genesis is ridiculously easy. Even on the highest difficulty setting, characters level up quickly and become rapidly more powerful each time they do level up. Additionally, every time they level up their health and magic is restored to full, meaning that while the party is in dungeons it rarely needs to use the potions and other expendable resources, allowing you to save them for the bosses, which are rarely deadly but rather need to be worn down through attrition. Because it's so easy it doesn't take long for combat to become a greater chore than it should be. The 3D character and enemy models look nice, and the encounter rate isn't so frequent to become frustrating, so it's disappointing that the balance isn't executed better to make for a more tense, strategic, or exciting experience. Wandering around the environments plays out in a classic top-down 2D fashion, and the most interesting thing here is the emphasis placed on finding secret passages. Remember how the classic Final Fantasy games often had hidden tunnels in the walls that would lead you to treasure chests and the like? This game formalises that into a core feature, by giving players the tiniest of hints (a notch in a wall) that that particular space is a false wall. The loot that can be earned from finding these secrets is significant, but on the other hand the game is so easy that if you miss it, then you're not missing out on anything that will in any way hinder your progress. It's a shame that in the end these secret passages are so unnecessary, because it's a nice idea to encourage players to pay closer attention to the dungeons as they explore. It's always a bad sign if I'm skipping through the narrative of a JRPG without really paying attention in the first couple of hours, and yet that happened with Alphadia Genesis. The concept itself is fine - humans created "clones" (essentially Asimov-style robots) and used them for military purposes, but now the war is over and the clones are slowly being integrated into society there is some political tension between them and their makers. This all comes to a head when a robot apparently murders a human - something they're not meant to be able to do. The heroes of the game are the ones designated to investigate this crime. The problem is that while the concept is perfectly workable, the execution is clunky. Dialogue is a mess of cliche and fan-fiction style characterisation, and the narrative flies by very, very quickly. This makes sense for a mobile game because players will only be spending a couple of minutes here and there playing it, but if I'm going to sit down for a game I want something meatier than that. There's nothing offensive about the narrative, but it's also not something that people will find memorable. Related reading: Classic-themed JRPGs are a rarity on the Nintendo Wii U, but the port of Costume Quest 2 is a good choice. 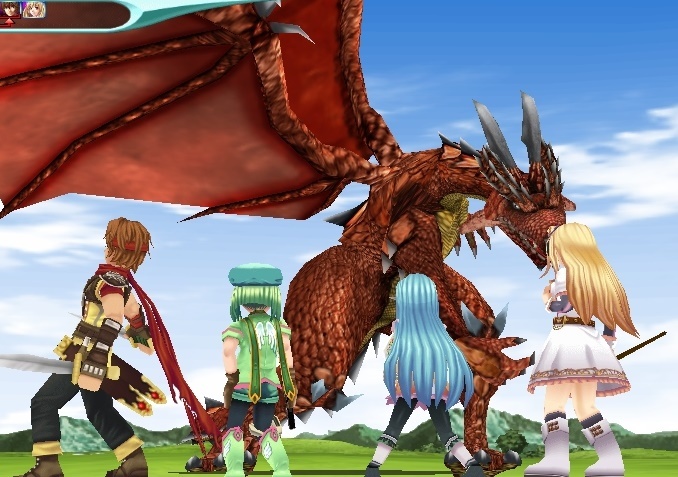 Item Reviewed: Review: Alphadia Genesis (Nintendo Wii U) 9 out of 10 based on 10 ratings. 9 user reviews.